Want to improve your handling of the Bible so you can better minister to others? Want to grow closer to Christ through a better understanding of his Word? 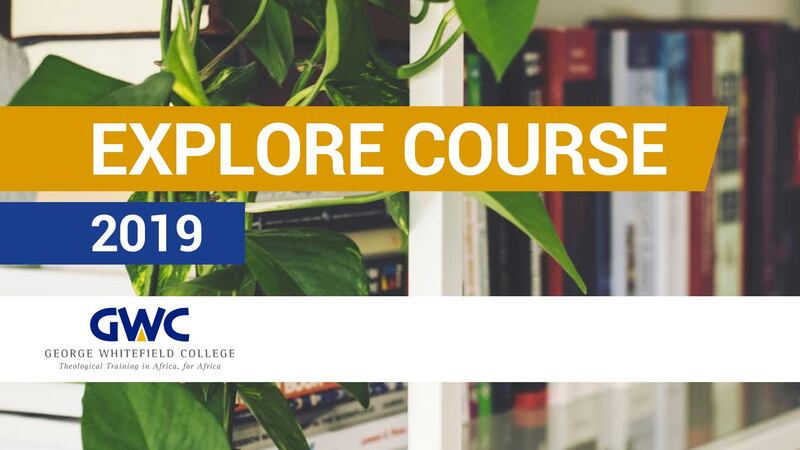 Why not consider doing the Explore correspondence course offered by George Whitefield College (GWC)? It’s no degree in theology, but it’s a little heavier than your average bible study. You will get a chance to delve deeper into theological topics through lectures, discussion and reading. At the end you’ll have an option to do an exam, which if completed will mean a lovely certificate to hang on your wall. COST: TBC R350 per module; R200 for pensioners and students.